Narrative: Prohibited burning of building materials. Address: 204 Tacoma Ave S.
Narrative: Unattended cooking resulted in a pan on the stove fire. Light smoke throughout apartment and no fire extension. Narrative: Firefighters responded to an apartment fire. Fire investigators determined that a cardboard box left on the kitchen stove by new tenants that were moving in ignited when power to the unit was re-activated earlier that morning. The fire resulted in an estimated $96,000 damage to the apartment of origin, with $3,000 of smoke and water damage to the two adjacent units. See original post. Narrative: Firefighters extinguished a suspicious fire that was started on the exterior of a single family residence. One occupant escaped without harm, and the incident was referred to the Tacoma Police Department for follow-up. 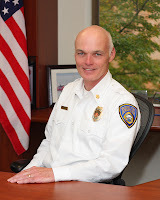 With the reopening of the Murray Morgan Bridge for traffic, Fire Chief Jim Duggan is announcing service deployment changes, effective the first week of February. Station 13, located at 3825 N. 25th St., will return to 24-hour staffing for EMS and ladder company service. Fire engine (pumper) service for the Proctor neighborhood will continue to be provided from Station 14 and Station 9, both located within a four-minute travel time from Station 13, however, Ladder 3 will move from Station 9 to Station 13. Along with Ladder 3, Station 13 will continue to house the 12-hour Squad 13. Station 9, located at 6th Avenue, will house Engine 9, Battalion 1, and a turnkey reserve fire engine. 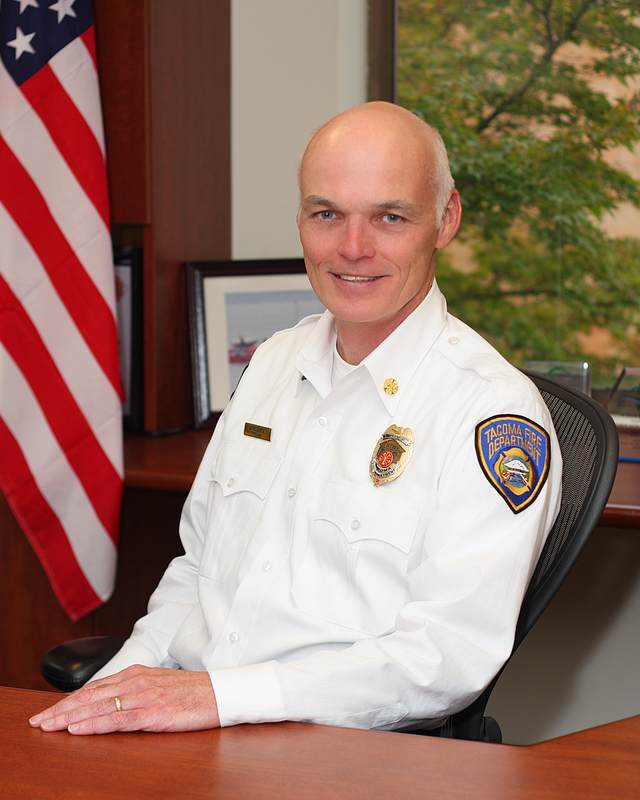 The Fire Department Cares Program will launch, providing Tacoma Fire Department personnel with a referral mechanism for people who repeatedly call 911 for health conditions that are not medical emergencies, or for assistance with daily living tasks. Fireboat Destiny will move from the Thea Foss waterway to the Tacoma Yacht Club until moorage is available at the former Station 5 on Ruston Way, anticipated in late spring 2014. Personnel from Station 14, located at 4701 N. 41st St., will cross-staff the fireboat. Two uniformed personnel assigned to the Training Center will provide additional Port-area EMS response during business hours. The Tacoma Fire Department training center is located on Marshall Avenue in the heart of the Port area. When available, the 40-hour-per-week training captain and 40-hour-per-week training paramedic will be the first arriving responders to emergency incidents that occur within a four-minute travel time of the Training Center. Narrative: At 9:56 a.m. firefighters from stations 1,2,4,7,9,13,16,& 17 responded to a reported apartment fire. The first arriving engine company reported heavy flames and smoke showing from a second floor apartment in the 4 unit multi-family building. Crews mounted an aggressive interior attack in the vacant unit, contained the fire, and found no occupants inside. The fire temporarily displaced five tenants from two of the neighboring apartments. The cause of the fire is currently under investigation, and there were no injuries to report. UPDATE: Fire investigators determined that a cardboard box left on the kitchen stove by new tenants that were moving in ignited when the power to the unit was re-activated this morning. The fire resulted in an estimated $96,000 damage to the apartment of origin, with $3,000 of smoke and water damage to the two adjacent units. Narrative: Crews extinguished a fully involved fire in the passenger compartment of a motor vehicle (car) that was spreading to a second vehicle. Narrative: Firefighters used a CO2 extinguisher to put out a brake fire on a motor vehicle (tractor-trailer). Narrative: Suspicious fire in a vacant house. See original post. Narrative: At 1:19 p.m., 10 companies of Tacoma Firefighters from stations 1,2,8,9,10,15,&17 responded to a reported residential house fire. The first arriving company reported significant fire showing from both the front and back of the 1 1/2 story approximately 1,000 square foot house. Operationally, crews mounted an aggressive interior attack on the well-entrenched fire, protected nearby exposures from fire damage, searched the home, and ventilated the structure. UPDATE: Fire investigators have determined that the cause of the fire appears suspicious, and have referred the case to the Tacoma Police Department Arson Investigation Unit for follow-up. Damage estimates are $103,000 to the building and its contents. Address: 2501 N. Lawrence St. Address: 711 S. 57th St. Narrative: Firefighters responded to a reported residential house fire. 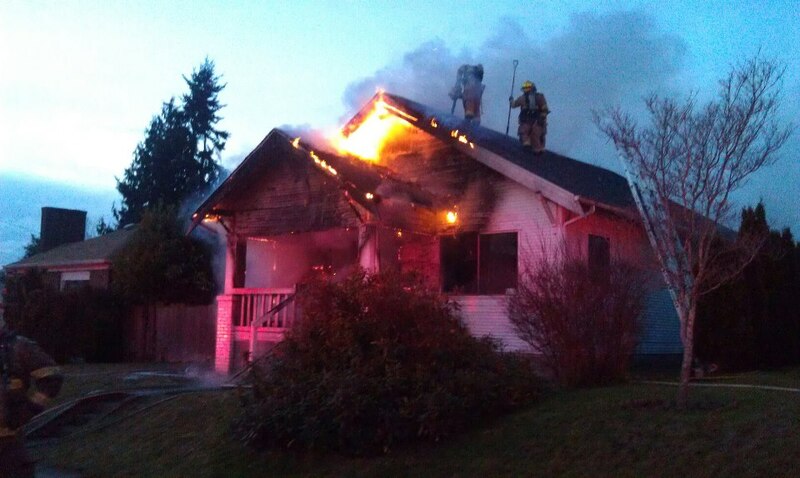 The first arriving company found heavy flames and smoke showing from the front of the house. Crews attacked the fire that had spread from the porch and extended through the roof, completed vertical ventilation, and conducted search and rescue. A fire investigator has determined that the cause of the fire appears suspicious, and has referred the case to the Tacoma Police Department Arson Investigation Unit for follow-up. There were no injuries to report.